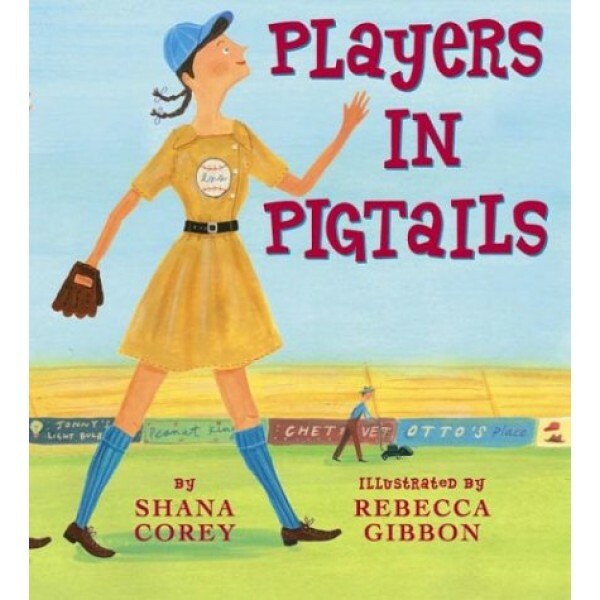 A winning new picture book about the All American Girls Professional Baseball League--written with sass and style by all-star Shana Corey with illustrations from promising young rookie Rebecca Gibbon. 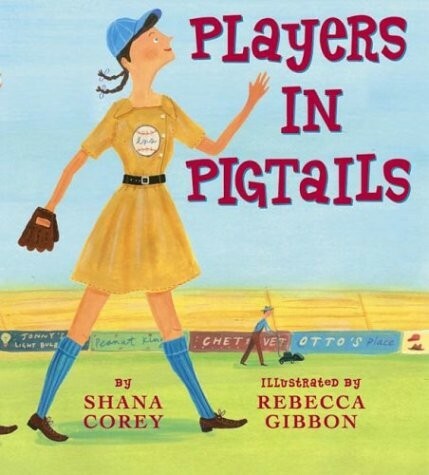 These little known facts inspired Shana Corey to imagine a story about how one determined girl made her way to the big leagues and found a sisterhood of players in pigtails. With the same exuberant spirit that fueled the formation of the All American Girls Professional Baseball League, joyful text and jubilant pictures celebrate these brave girls' love of the game & the league they called their own. Katie Casey is in a league of her own: "She preferred sliding to sewing, batting to baking, and home runs to homecoming." Unfortunately, baseball is not considered ladylike in 1942. But when the male professional baseball players are called away to war, Katie has her chance to step up to the plate. Players in Pigtails, inspired by the movie A League of Their Own, is a delightful tribute to the All-American Girls Professional Baseball League created by Chicago Cubs owner Phillip Wrigley during World War II.